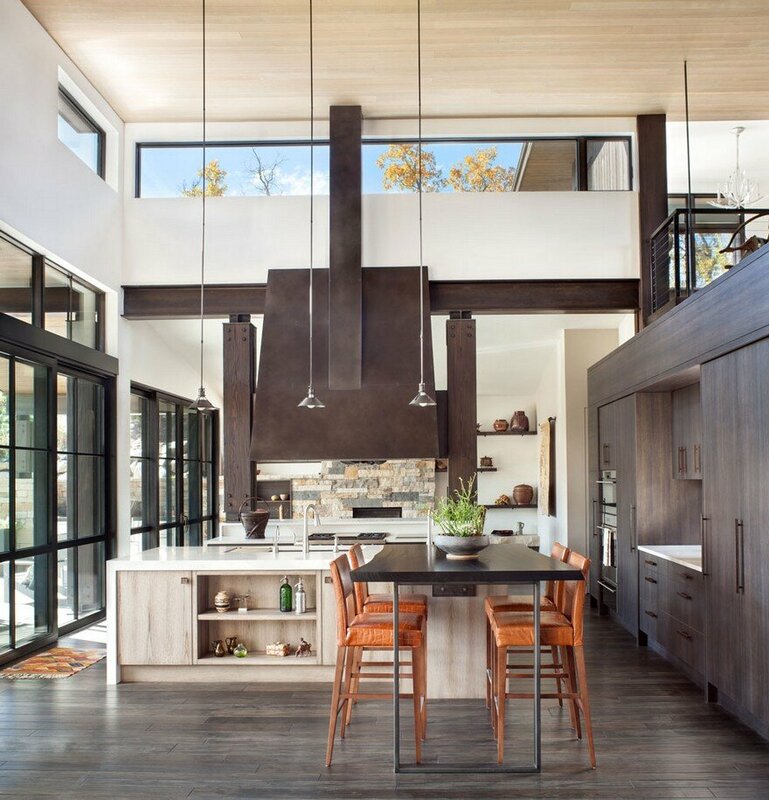 From the architect: The client wanted a design that was cozy, yet modern at the same time. 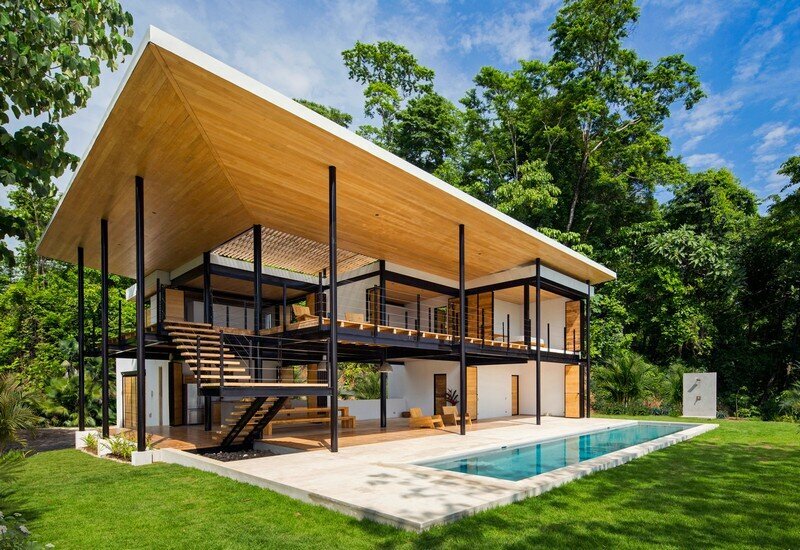 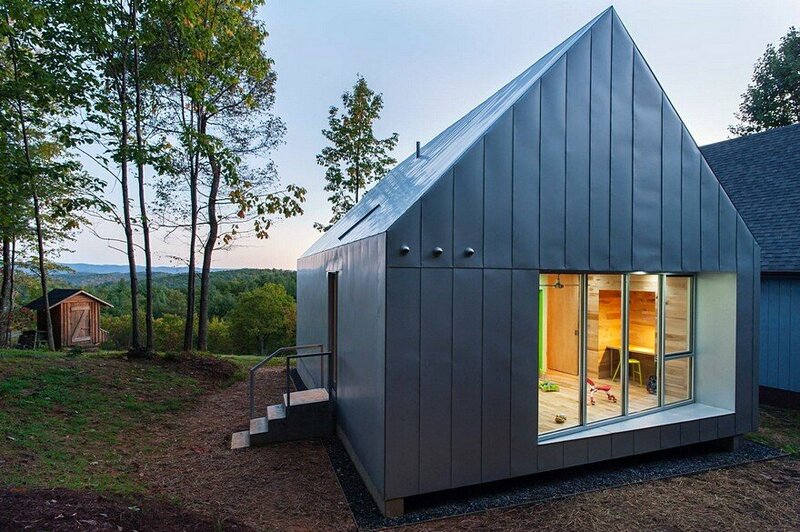 This is achieved with a combination of sloped and flat roofs, timber and steel details, and a variety of siding materials. 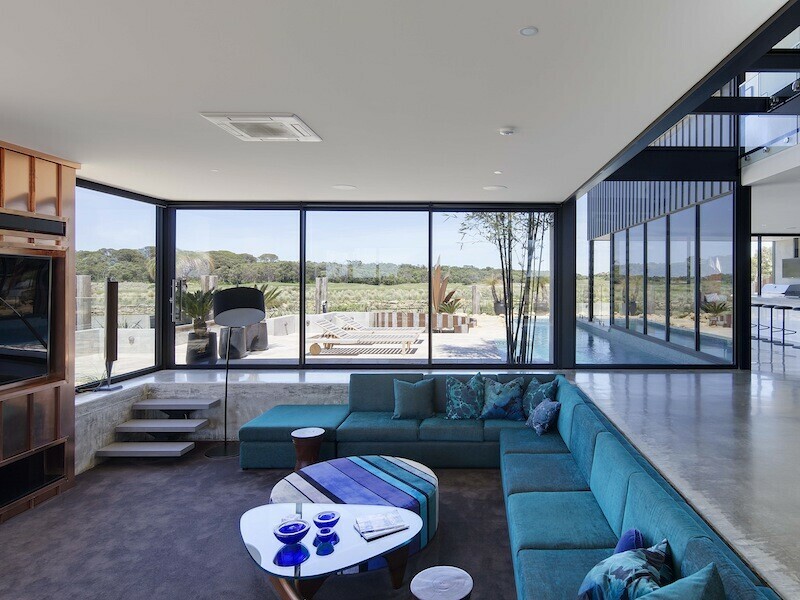 Using window walls and carefully placed glass provides the indoor/outdoor living the client desired. 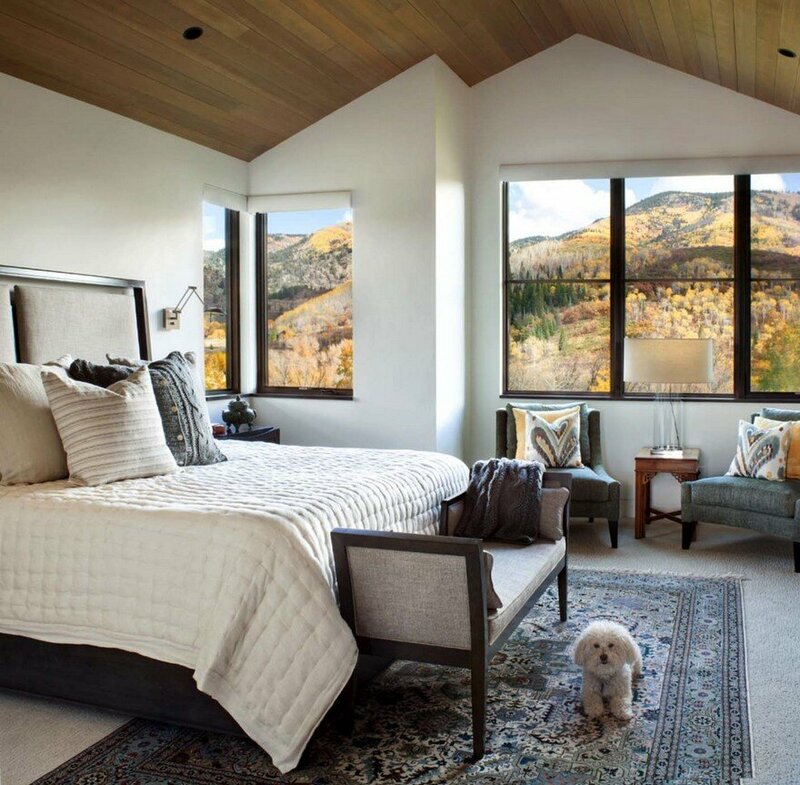 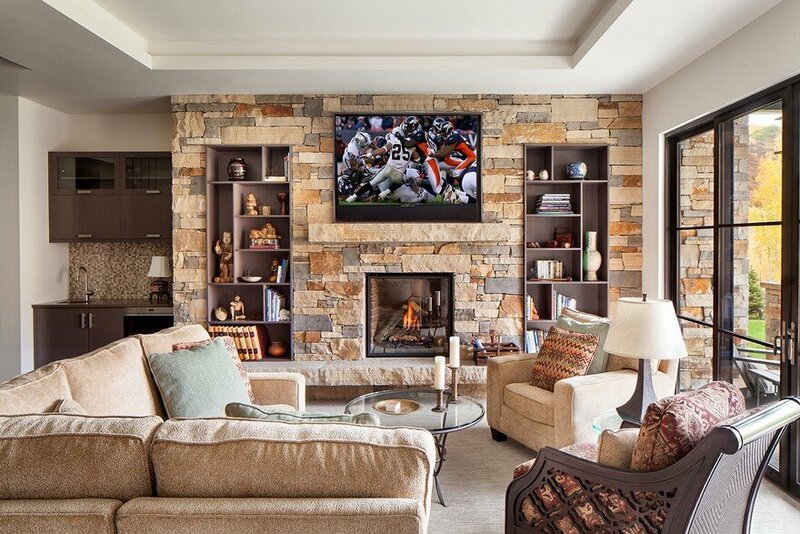 Along with a large master suite and office, the Boulder Ridge house boasts a 3 car garage, wine room, family and game room, and three additional bedrooms. 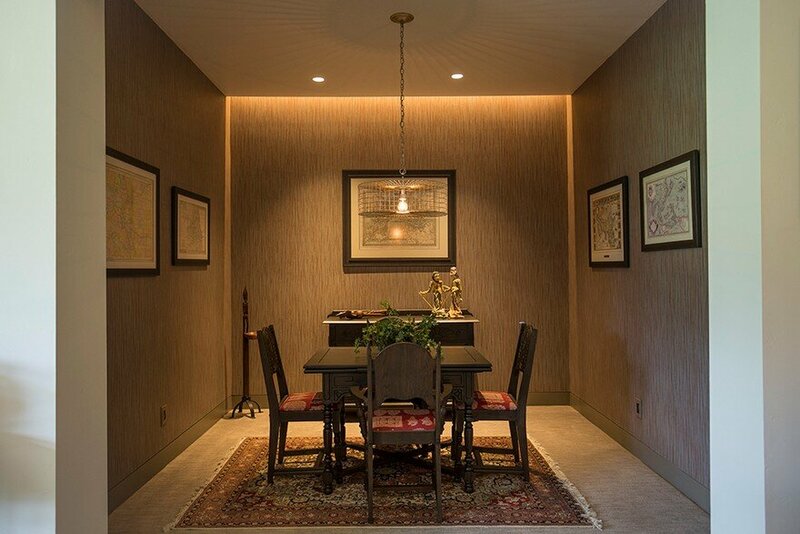 The team of Interior Designers at VA worked with the client to create a home that has a holistic harmony without being matchy-matchy. 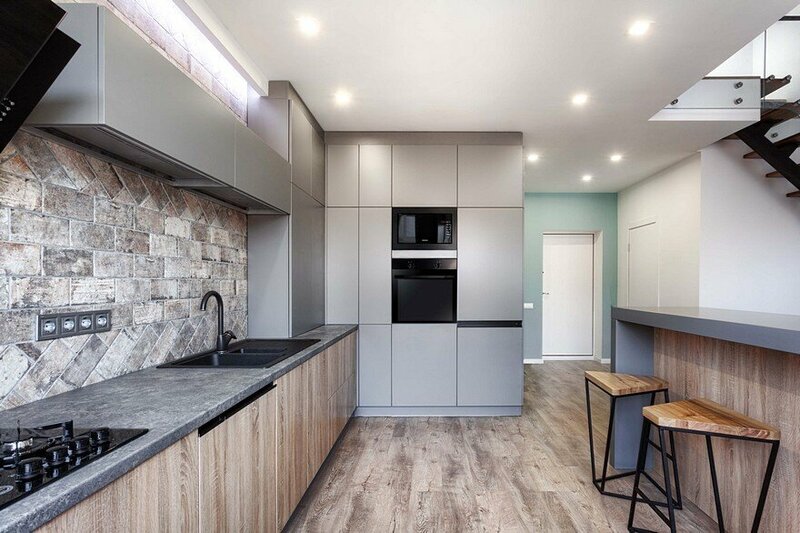 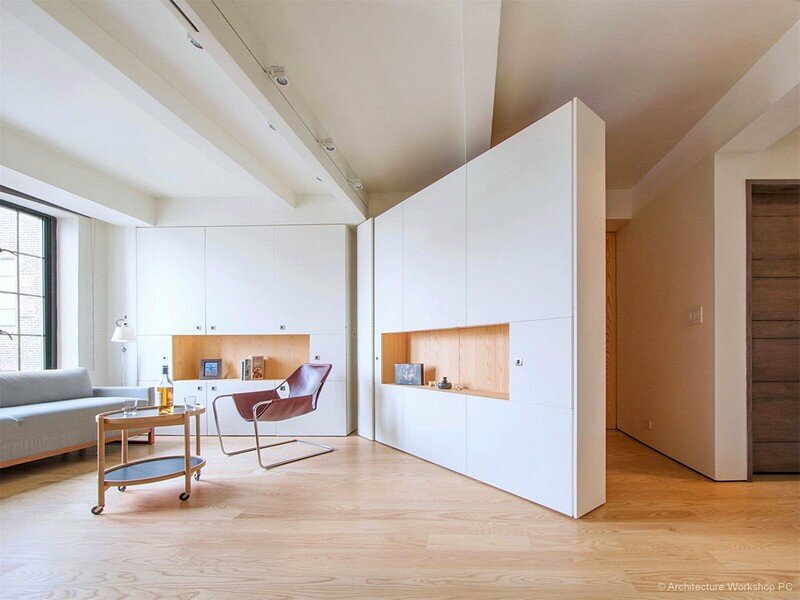 Each interior material was selected to work with every element of the home. 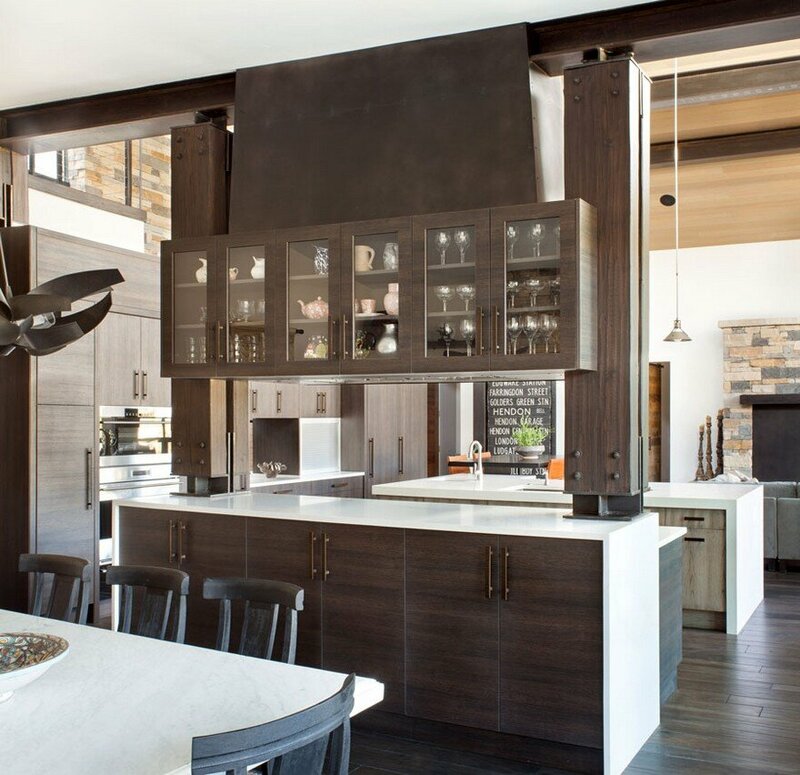 The custom cabinetry meshes perfectly with the over-sized steel hood and custom live edge bartop, hand-crafted by a local artisan. 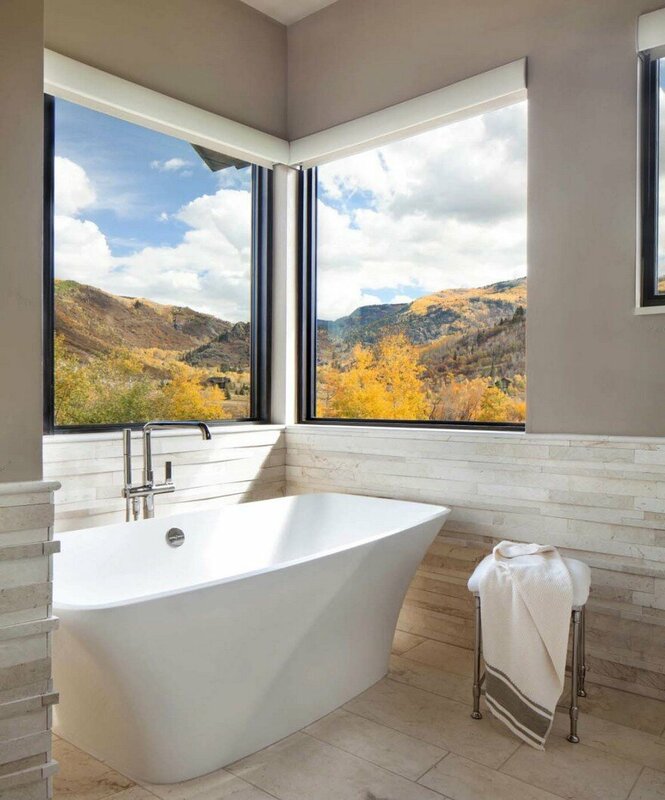 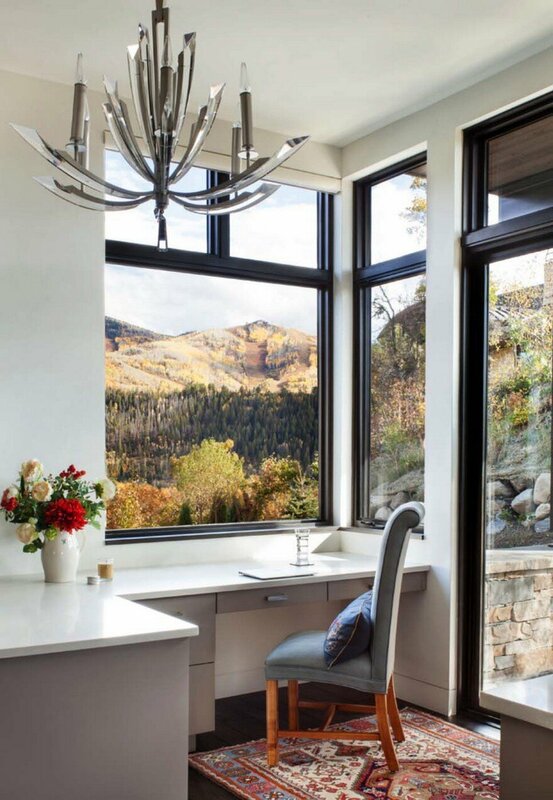 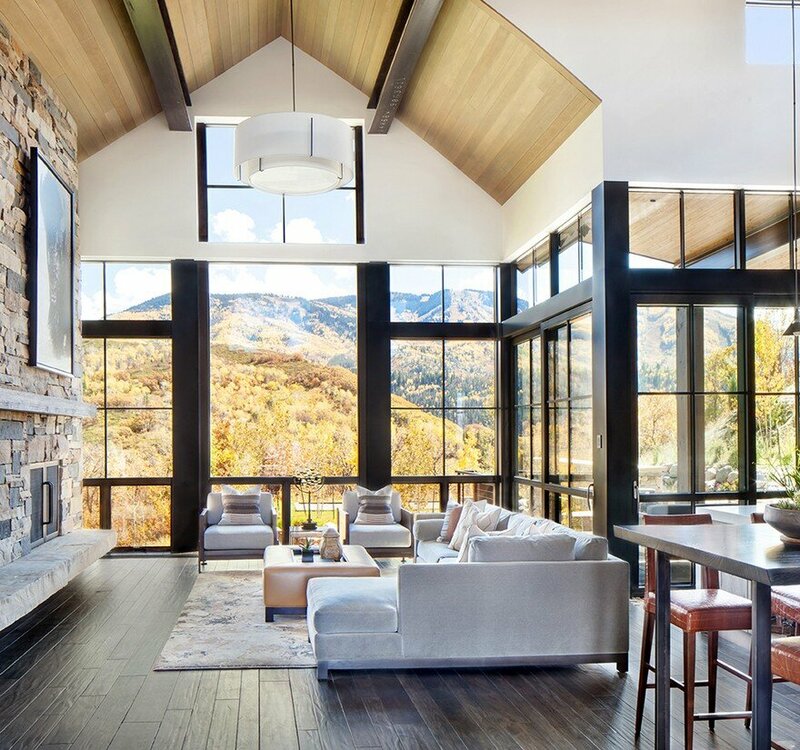 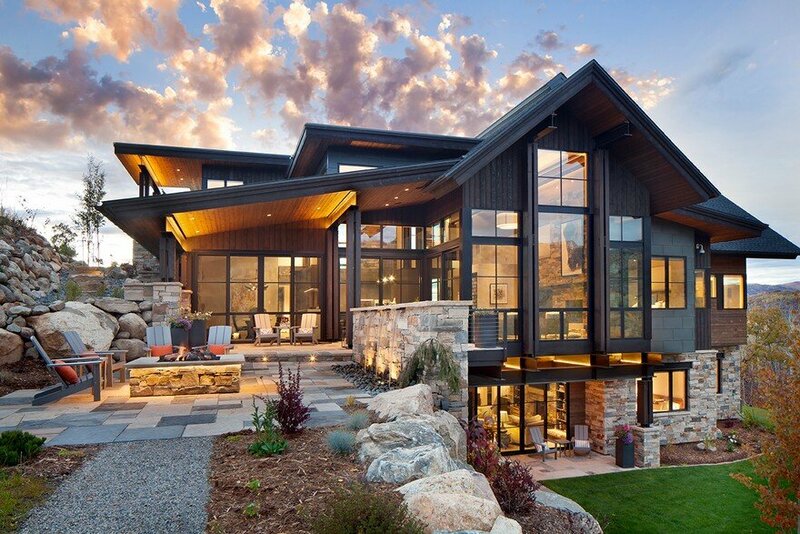 The floor-to-ceiling glass wraps the entire rear of the home which opens up to expansive views towards the Steamboat Ski Area and the Fish Creek Falls Canyon. 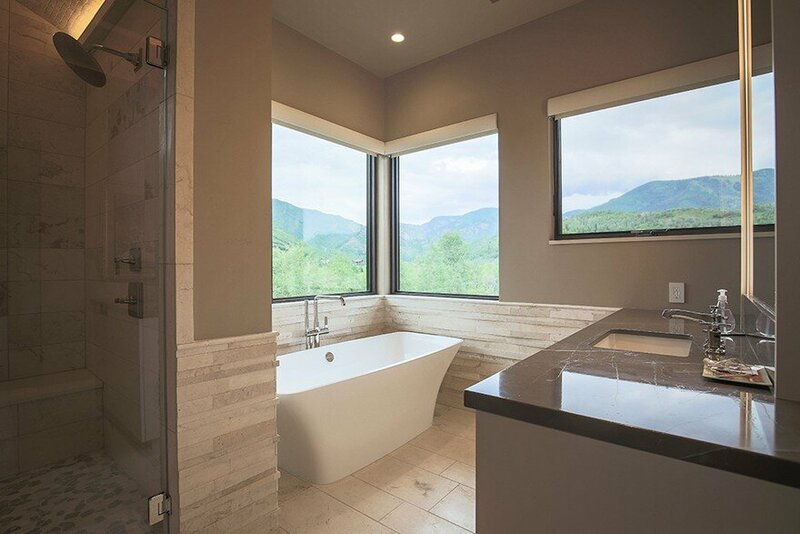 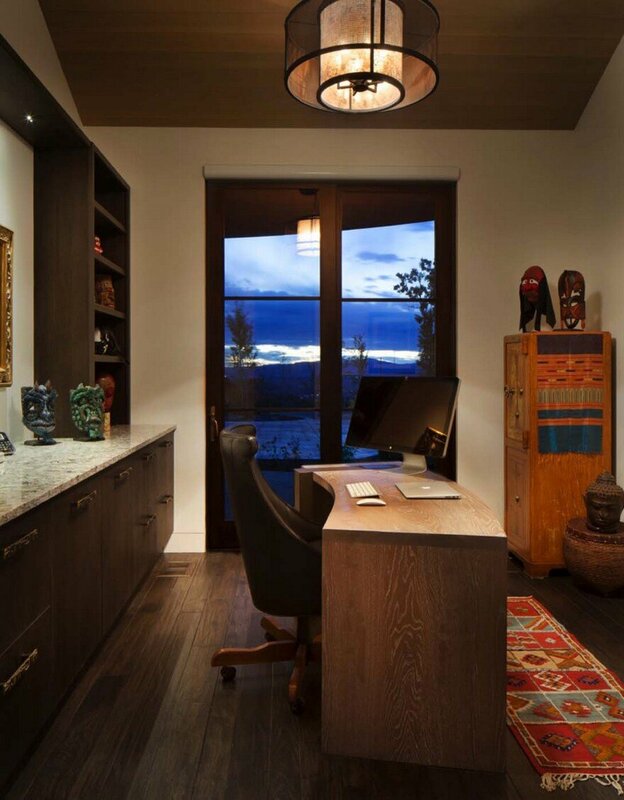 The master suite is just off the great room and features the same sweeping views, stone fireplace, a private office with a custom desk, as well as a corner master bath that opens up to the valley. 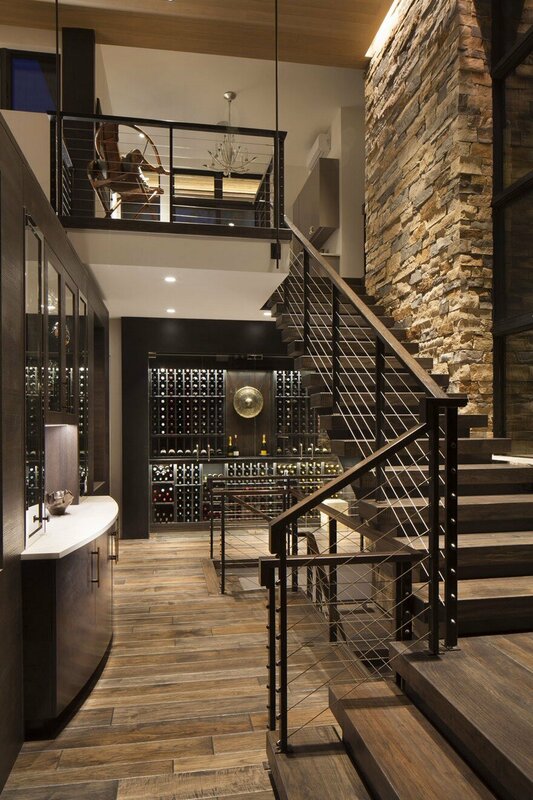 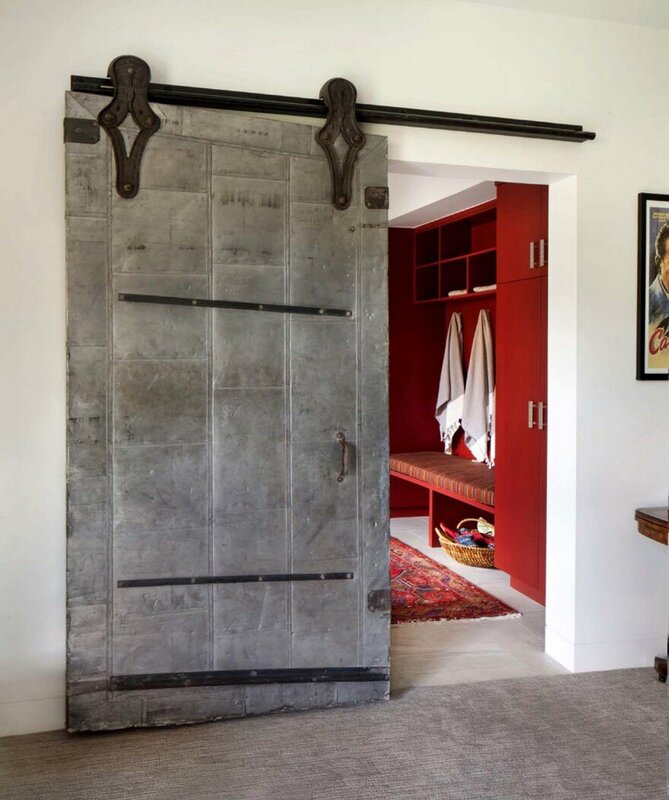 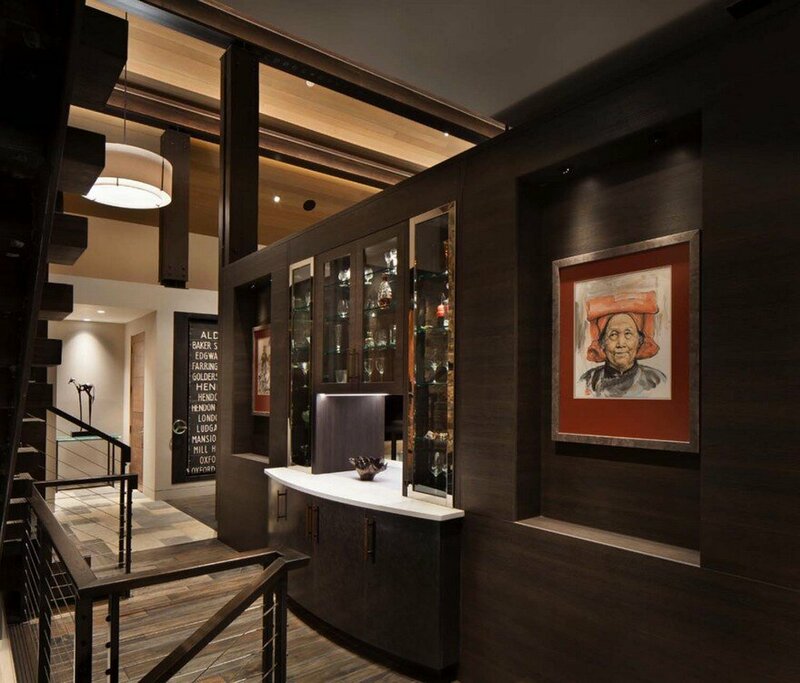 The basement of the home is equally as unique with integrated lighting details, 10’-0” ceilings, a niche perfectly sized for a game table and a barn door made from a vintage fire door. 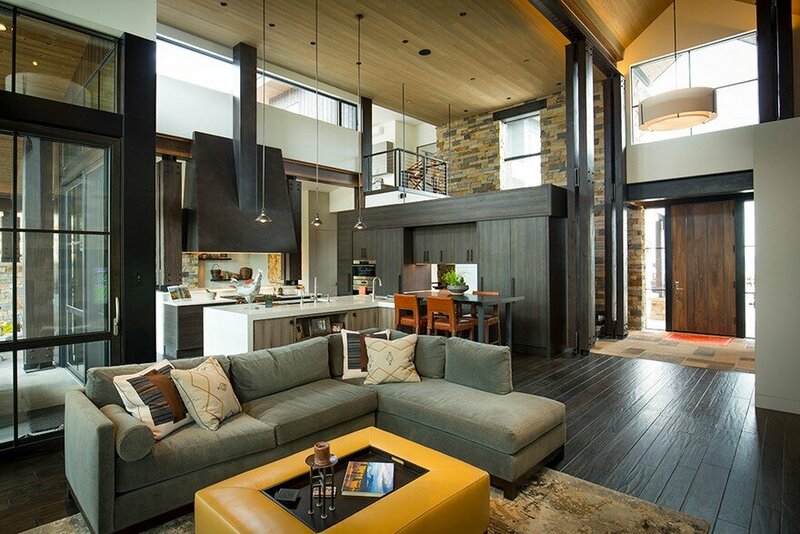 The furnishings are the capstone to the project. 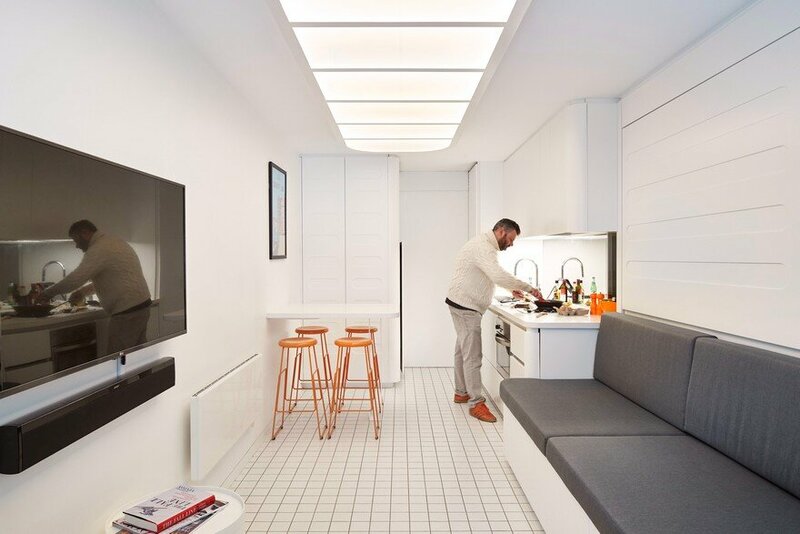 Our interiors team selected new furniture that would blend with the eclectic mix of existing furniture and accessories the owners already had. 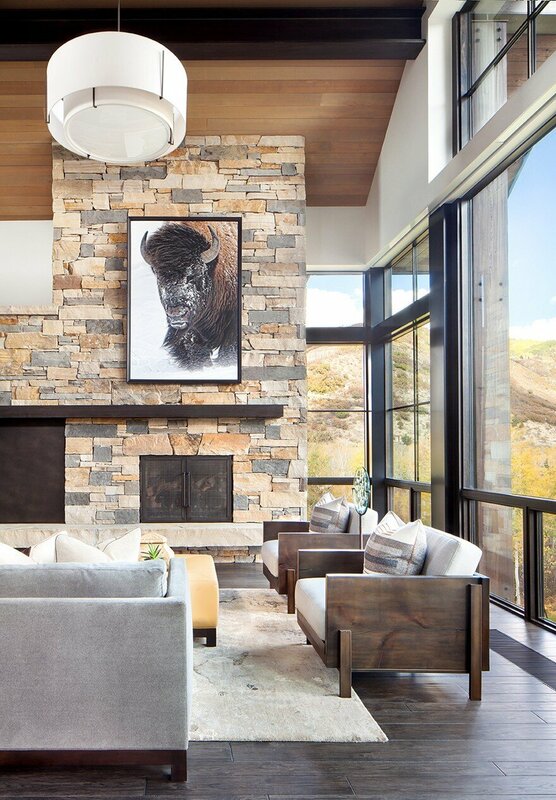 Their unique artwork and furnishings from around the world fit right in with the new mohair sofa, crocodile leather stools and steel tables. 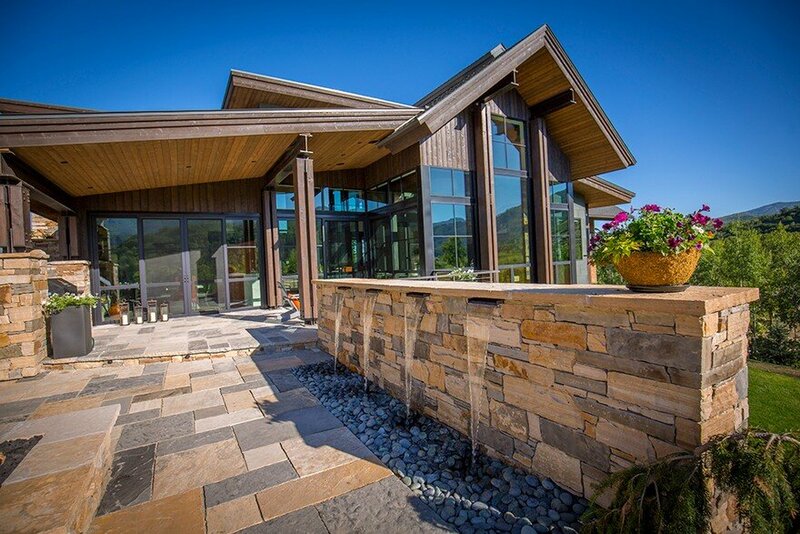 The exterior details at Boulder Ridge truly make the house shine. 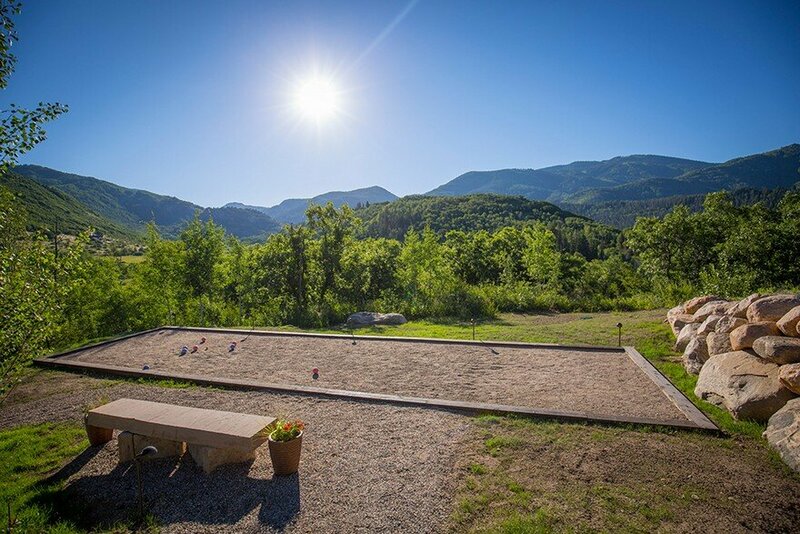 By siting the house into the slope, we were able to create an on-grade outdoor area with a grill, fire pit, water feature and bocce ball court overlooking the Fish Creek Falls Canyon. 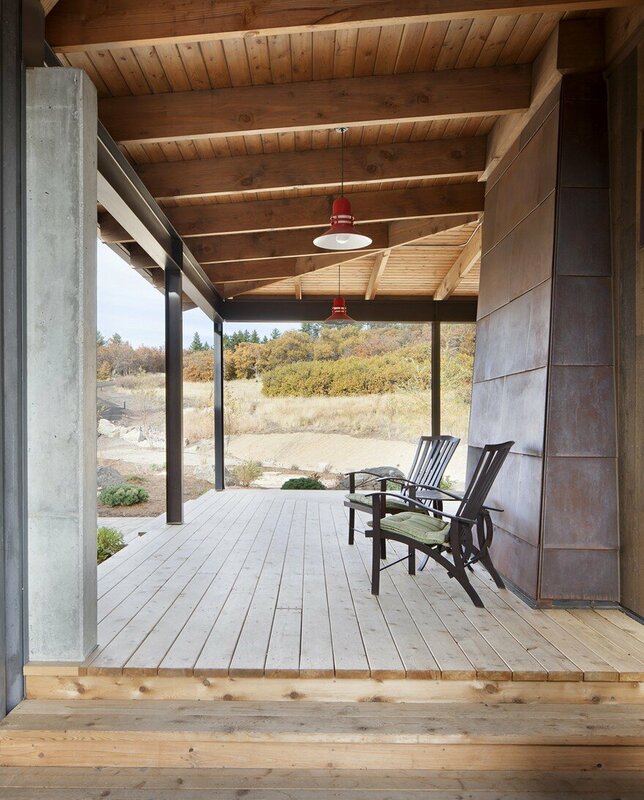 An on-grade patio connects to the main living space and terraces down to a lower walk-out level and lawn. 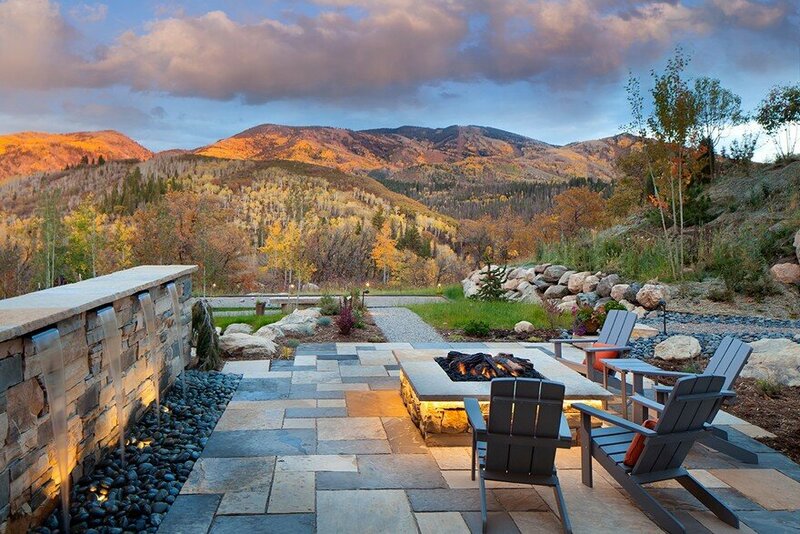 Native plantings and aspen trees help to blend the backyard into its surroundings.